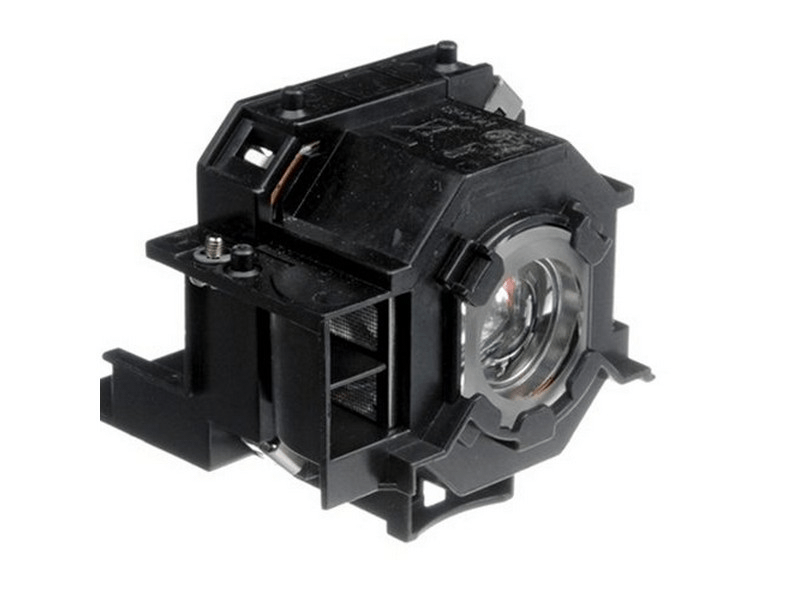 The Powerlite 83 Epson projector lamp replacement comes with a genuine original 170 watt Osram bulb inside rated at 2,600 Lumens (Same brightness as the original Epson lamp). The Powerlite 83 lamp has a rated life of 3,000 hours (4,000 hours in Eco mode). Beware of cheaper generic lamp replacements sold elsewhere that have lower lumen output and reduced lamp life. Powerlite 83 Epson Projector Lamp Replacement. Projector Lamp Assembly with High Quality Genuine Original Osram P-VIP Bulb inside. This lamp is much better than others we have tried. The connectors are solid, the housing is new and better quality PVC and the bulb is the authentic Osram brand. It works great and is as bright as the original Epson lamp. We would recommend Pureland Supply. I was a bit hesitant to buy this lamp because it's not the Epson original but when my bulb went out and the school didn't have an idea of when they'd be able to order a replacement this was my best option. It installed easily and works just as good - if not better - than the original. I am very impressed.